Add Fitness and Fun to Any Activity! 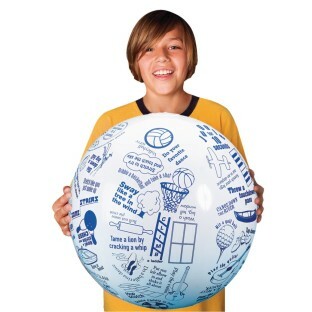 One of our hugely popular conversation balls! Over 80 range-of-motion, stretching and movement activities. "Sway like a tree in the wind", "Dance hilariously" and more! Players simply toss, catch, read and react! Illustrated with over 80 imaginative range-of-motion, stretching and simple movement activities, such as "Sway like a tree in the wind," "Dance hilariously" and "Reach up and pick 5 apples from a tree." Players simply toss, catch, read and react! Includes activity idea sheet. 24". The students in the schools love this activity! Fun activity for most ages! WONDERFUL for memory and story conversation. These balls are used daily at our nursing home! The only downside is having all the different genres of balls is hard to store them inflated. I teach an after school program Zumba Kids and they love the size and the activities on ball ! 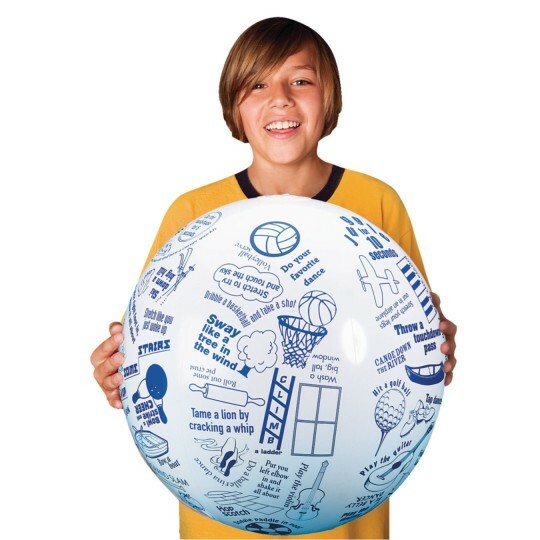 Laughter abounds with this ball of fun! This was for seniors in assisted living and they love playing! It has become a weekly activity. 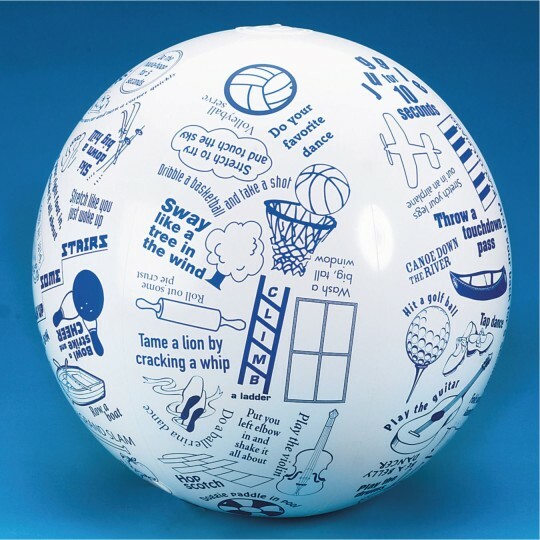 The Toss and Talk Movement Ball is great as an ice breaker.